Since the end of the “transition paradigm”[i] which displayed an optimistic belief in political progress, analysts had to accept that the development from dictatorship to democracy could be halted or reversed. General expectations notwithstanding, the democratic upheaval of 1989-1991 did not end in turning all dictatorships into liberal democracies. Not only the countries of “democracy by default”[ii] became authoritarian, but even formerly consolidated, liberal democracies could backslide to hybrid regimes, “combining democratic and authoritarian elements.”[iii] While the number of liberal democracies increased significantly, it is even more important to note a growing grey zone lying between democracies and dictatorships, where hybrid regimes thrive. In the following, I will mostly focus on regime types and not on political speeches and supposed intentions of politicians. As we know, important as they are, political speeches often hide, rather than express, real political intentions. “Do not pay attention to what I say, but what I do” said Viktor Orbán memorably to the US ambassador in Budapest about ten years ago. Further, hybrid regimes, in holding on to the name of democracy, are even more likely to use public speeches to obfuscate rather than to reveal the inner workings of the regime. Thus here I will focus on the academic issue, the grey zone which contains several mixed regimes and the place of illiberal democracy in this terrain. These regimes have been termed variously: as semi-democracies, semi-dictatorships, “guided,” “sovereign” or “managed” democracies, delegative democracies, illiberal democracies, liberal autocracies, electoral authoritarianisms, competitive authoritarianisms and the like. [iv] As early as 1986, O’Donnell and Schmitter already recognized the existence of some transitory regimes, such as democradúra and dictablanda, based on the Latin American experience. [v] It soon became clear that the defining democracy and dictatorship was not simply an “either-or” question, but a problem of “more or less.” Countries in the grey zone contain some elements of democracy and authoritarianism at the same time, albeit in different proportion. 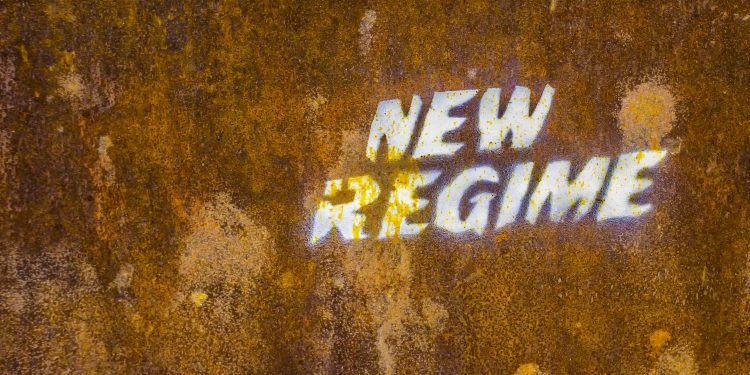 But even if it is a “more or less” issue, one has to be able to identify the Rubicon, a particular historical juncture or moment, which needs to be crossed at times of regime change. Even if it is true that dictatorships do not develop to democracies overnight, nor fall back to dictatorships with the same speed, still we have to able to find the borders between liberal democracies, hybrid regimes, and dictatorships. Even on the “more or less” axis, there are some turning points that separate the three different regimes from each other. In recent years, somewhat surprisingly, the concept of “illiberal democracy,” once introduced by Fareed Zakaria,[vii] has enjoyed a spectacular renaissance. While Zakaria defined this concept negatively, considering it as valid description for countries lacking strong constitutional-liberal tradition, recently some authoritarian leaders have proclaimed proudly that illiberal democracy was a positive notion. It was presented as an “anti-core” voice of the periphery against the supposedly elitist, bureaucratic-technocratic, liberal democracy which favored the upper classes of Western countries. Illiberal democracy was presented as majoritarian, bottom-up, re-politicized democratic alternative to democratic elitism in which working people regain power from the politically correct (but socially less sensitive) elites. However, in reality, it did not lead to higher popular participation, or popular sovereignty; rather it resulted in social apathy and the nearly unlimited power of the sovereign leader. Theoretically, some promoters of illiberal democracy return to Max Weber’s notion of “leader democracy” (Führerdemokratie), while forgetting that Weber understood the salience of leaders within the realm of liberal democracy. [viii] Others offer a right-wing, nationalist interpretation of Antonio Gramsci’s theory of hegemony,[ix] as they believe that political discourse should be dominated by relentless propaganda. Some others refer to Carl Schmitt’s theory of “the political”, which states that the major constitutive element of politics is the conflict between friend and foe. [x] They also like to reinterpret Ernesto Laclau’s and Chantal Mouffe’s understanding of radical politics[xi] to highlight the importance of return to real politics of “real people.” This approach to politics avors virtue, community and the articulation of conflicts vis-a-vis the dominant neutralizing, legal and moral discourse of the liberal elites. For them, a large dose of populism is vital to reinvigorate politics, and the rise of populist democracies[xii] should be considered as healthy reaction to Western democracies which reveal citizens as alienated consumers (and not spirited participants) of democratic politics. However, despite all these efforts at justification, hybrid regimes, populist politics and illiberal democracies constrain the political activity of citizens and move in an authoritarian direction. The reason why authoritarian leaders like the concept of “illiberal democracy” so much is that it offers an opportunity for them to present themselves as (some sort of) democrats. Even new dictators want to present themselves as democrats. Maybe “sovereign,” maybe “non-Western,” maybe “illiberal,” but democrats nonetheless. Despite their own role in destroying the rule of law, they make all efforts to convince everyone that they are elected by the people. Former autocrats were not so keen to insist on electoral legitimacy. The notion of illiberal democracy helps the new autocratic leaders to hide their authoritarian intentions as long as possible. By attaching a variety of qualifications to the concept of democracy, to indicate its corruption, academic approaches make a desperate effort to ‘rescue’ the concept, and to stay true to some of its parts. However, this results in a situation where ‘too many cooks spoil the broth.’ In the final analysis, they come to describe regimes as democracies that, in fact, have nothing in common with the original meaning of the concept. As turned out, populism or illiberalism did not make the regime more democratic, rather less. What shall we do with illiberal democracies then? Do they exist at all, in the first place? If yes, do they belong to the group of democracies or hybrid regimes? To what extent do liberal values — the rule of law, checks and balances, constitutionalism, civil liberties, separation of powers, human rights, and the protection of minorities — belong to democratic values? Does democracy belong to all citizens of the political community or is it just a property of the majority? These questions are equally important for political theorists and students of comparative politics, as much as they are for citizens. Is democracy a universal value or just a particular good? Is it a Western value only or are there non-Western democracies at all? [xiii] Old problems seem to come back now. What we have learned around 1989 is that democracy equals Western, liberal democracy. It is the only regime that is based on political pluralism, participation, competition and civil liberties. Therefore, several scholars rightfully questioned the validity of illiberal democracy as a sub-type within the family of democracies. In his essay, Jeffrey C. Isaac already mentioned some powerful criticisms of that concept by Jan-Werner Müller,[xiv] János Kornai[xv] and others. The Hungarian political philosopher, János Kis[xvi] presents a similar argument. He claims that the key aspect of democracy is that even the minority accepts the legitimacy of decisions. This, however, happens only when the system is unbiased and when people whose opinion ended up in the minority remain legitimate actors in the democratic process because majority decisions are not used to disenfranchise the minority. In modern democracy, it is not possible to marginalize, neglect, or dispose of the minority; that is, there is no democracy beyond liberal democracy. Consequently, according to Kis, there is no such thing as illiberal democracy because an illiberal regime could not qualify as democratic. If we operate within normative democratic theory, I agree with this. Those who systematically attack the rule of law can hardly be seen as defenders of democracy. The concept of democracy gradually changed and by today it has come to embrace the liberal and constitutional components. It is difficult to label any political regime as a democracy outside the world of liberal democracies, even if we know that democracy is never perfect, and that there are defective democracies that do not fulfill all criteria properly. My approach is summarized in the following typology. Others see this differently. Csillag and Szelényi,[xvii] for instance, present an electoral democracy argument. They judge the example Orbán regime of Hungary as democratic because it came to power by democratic means and there is still a possibility of a change of government. They work with a relatively low threshold and argue that one can speak of democracy when the legitimization of power is based on the will of the majority. They accept Huntington’s minimalist reasoning that free and fair elections are the sine qua non of democracies and, from the perspective of legitimization, the actual mode of governance is relatively less relevant. [xviii] The authors do not problematize whether the 2014 elections in Hungary lived up to the criterion of free and fair elections. There were indeed some regimes in post-communist Europe in the 1990s that we can retrospectively label as electoral or illiberal democracies, like Slovakia under Meciar, Yugoslavia under Milosevic, Romania under Iliescu, or Croatia under Tudjman. In the optimistic mood of transitology, it was supposed that these regimes would develop towards liberal democracy. Since three out of those four countries are now members of the European Union, illiberal democracy could be interpreted as “child disease” of new democracies. I agree with Csillag and Szelényi that empirical reality displays broader varieties of regimes than normative democratic theory, and illiberal democracies can occur in the real world. But I disagree with them in considering illiberal democracy as type of democracy. In my view, illiberal democracy belongs to the hybrid regimes. If one accepts illiberal democracy as a form of democracy, than he or she not only denies the normative consensus on democracies but inflates the notion of democracy. At the end, we will not able to recognize democracies and distinguish them from other regimes. Isaac is right by stating that we need to accept empirical reality but we need to avoid conceptual stretching as well. What people commonly call “illiberal democracy” is, in fact, an empirically existing hybrid regime, in other words, non-democracy. Calling it democracy might be academically misleading and politically disarming. To demonstrate the second: the concept is used in the political discourse of the European Union in a rather diplomatic way to lessen the significance of Hungarian and Polish deviations from mainstream European democracies. That appears to justify the soft attitude of the EU toward these countries, despite their disrespect to commonly accepted standard, liberal democratic values. As long as the EU considers Hungary and Poland as (some sort of) democracies, it will justify its own inability to sanction these countries. The regime is led by an authoritarian leader who comes to power by elections, and who is supported by similarly authoritarian-minded leaders internationally. The leader creates a highly personalist, informal, centralized, vertically operating system of rule in which loyalty overrides expertise, and where social autonomies (like independent media and independent groups of civil society) are considered dangerous. The political clique, that occupies the state from inside, might behave as an adopted political family including formal party-members and loyal clientele selectively. 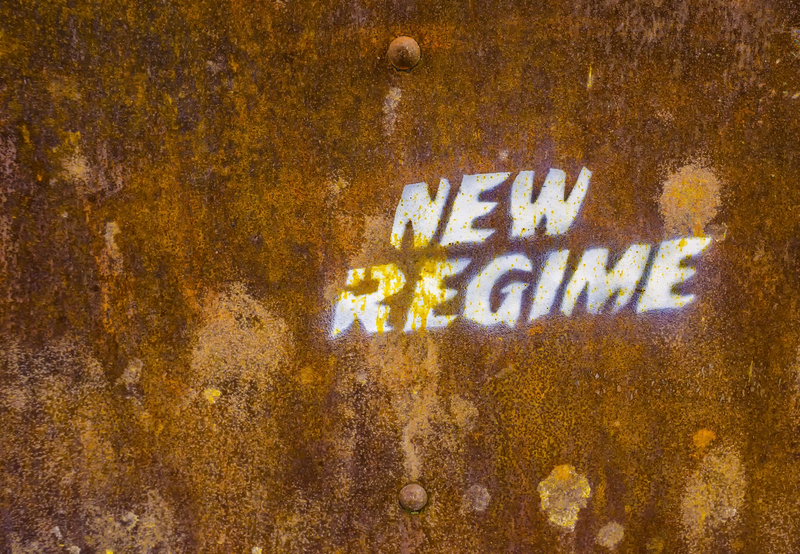 The regime is in a constant flux, a “moving target,” where consolidation is improbable. In the lack of external constraint the regime is often transitory on the road to full authoritarianism (as the case of Russia suggests). The regime promises to re-politicize the public sphere and to mobilize the political community, but it ends up with no politics just central propaganda and confused, chaotic public administration. The so-called “strong state” is in fact a mafia state where corruption is not external or deviant, but it is an embedded, legislated and networked phenomenon. The regime is rather based itself on fears and traditional mentalities of citizens rather than any coherent ideology. Leaders of illiberal democracy, just as of any hybrid regime, learn from each other: similar autocratic methods and narratives are circulating among themselves (sometimes called as autocracy promotion). Yet, there are a lot of spontaneous actions, accidental and unpredictable events that occur in such regimes. Although authoritarian leaders learn from each other, they do not necessarily implement the same blueprint or follow a pre-calculated political project. Politics is more complicated for authoritarian leaders if their country belongs to a community of democratic states. Subsidiarity principle, formal commitment to basic democratic values, multi-level governance, institutional cooperation etc., which all exist in the European Union, are external factors that condition the behavior of the national leader. At this point the leader of an illiberal regime enters a cynical and hypocritical game with representatives of the international community by taking the available material benefits from the common basket whilst disrespecting the common democratic norms. In the post-communist context, illiberal democracy often includes rough redistribution of property among the old and new elites. Members of the new power elite use legislation to renationalize private property temporarily in order to reprivatize it for themselves and their clients afterwards. To conclude in one sentence: Illiberal democracy sounds like an oxymoron theoretically, yet it might exist in the real world as a fluid, non-crystallized, and often externally constrained setup among the hybrid regimes. Dr. András Bozóki is a professor of Political Science at the Central European University. [i] Thomas Carothers (2002), „The End of Transition Paradigm” Journal of Democracy, Vol. 18. No.1. January, 12-27. [iii] Larry Diamond (2002), „Elections Without Democracy: Thinking About Hybrid Regimes” Journal of Democracy, Vol. 13. No. 2, April, 21-35. [vi] Lewitsky & Way (2010), op. cit. 5. [vii] Fareed Zakaria (1997), „The Rise of Illiberal Democracy” Foreign Affairs, Vol. 76. No. 6. November, 22-46. [xii] For a good explanation of this attitude see Takis S. Pappas (2014), „Populist Democracies: Post-Authoritarian Greece and Postcommunist Hungary” Government and Opposition, Vol. 49. No. 1. January, 1-23. [xiv] Jan-Werner Müller (2016), „The Problem with Illiberal Democracy” Project Syndicate, January 21. [xv] János Kornai (2015), “Hungary’s U-Turn: Retreating from Democracy” Journal of Democracy, Vol. 26. No. 3. July, 34-48. [xvi] János Kis (2014), “Illiberális demokrácia nem létezik” [Illiberal Democracy Does Not Exist] Hvg.hu, November 24. [xvii] Tamás Csillag & Iván Szelényi (2015), “Drifting from Liberal Democracy: Neo-conservative Ideology of Managed Illiberal Democratic Capitalism in Post-Communist Europe” Intersections, Vol. 1. No. 1. 18-48.